I'm not sure what to say about this film that will be helpful to anyone who wants to know about it. Frankly the only thing that comes to mind is don't. The story of two friends who's loyalty is tested when a woman comes between them is painful to watch. I've seen enough movies to know when there is a problem beyond the script, in this case its mainly the acting which is best categorized as bad. Its a combination of poor acting choices, characters posturing to look tough mixed with what can only be described in an overly generous mood as non-acting. Characters speak as if they are rehearsing rather than performing. Even Robert Z'Dar, of Maniac Cop fame, an actor you can always count on for a good performance comes across as phoning it in from three states away. 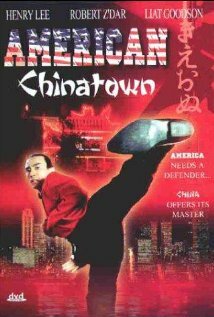 I really can't recommend this film to anyone unless they are trying to see every film with martial arts ever made. To put it another way I paid 99 cents for the DVD of this film and I feel ripped off.